So you’ve heard of the many financial blessings to be counted in outsourcing accounting. It’s no exaggeration; the cost-savings can be amazing, increasing your profits up to 42%* in one decisive move. However, it’s not quite as simple as flipping a switch. Because the stakes are so enormous, it pays to take a moment and investigate the service to which you’re going to be handing large portions of your operations. As an accountant your raison d’etre is making sure your clients get the most out of every dollar. Don’t you deserve the same level of courtesy for yourself? 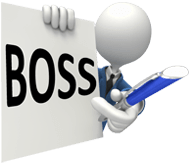 Here are 8 questions BOSS encourages you to ask before you commit to our outsourcing services. Does the outsourcing accounting service have a traceable track record? Does the service have other clients willing to give it a positive testimonial? Does it have an overall upward trajectory in new client acquisition? Did the other clients have any problems, and if so, how were they resolved? Does the service match your companies’ needs? Perhaps the most obvious question – can the service do what you need to be done? While most companies that are outsourcing their accounting business have cost-cutting as their primary goal, it’s still vitally important that not only can the outsourcing service provide what you need, but they can do so more efficiently than you do in-house. How is your business going to be managed? Is there going to be someone who is a dedicated manager of the people working on your account? Will there be a responsible manager who knows your particular company, your culture, and will they be able to guide others in maintaining the processes that you desire? A pretty big question, considering it’s one of the main reasons you’re looking to outsource in the first place. How scalable is the service? If your business needs more staff quickly what reassurances are there that the outsourcing accounting service provider can meet your demands without delay? How will training of the new staff happen – is it down to you or does the outsourcing provider take care of everything for you? Are the outsourced workers good at their job? More importantly, are they good at your job? You’re outsourcing to save money, not to save on quality. It’s paramount that the workers at the other end of the line are able to maintain, and even better improve upon, the quality of output your clients have come to know you for. What do you have to do at your end? How is the accounting outsourcing service going to migrate your business and introduce it to their workers? Do they offer an operation that makes the process as seamless as possible? Once it’s set up, do you have to dedicate someone in your office to managing the overseas operations? Will you have to learn any new software or processes at your end? Like with any service you can imagine, it’s a good idea to investigate an accounting outsourcing service’s financial stability to make sure you’re partnering up with someone who isn’t going to suddenly fold up overnight, taking your outsourcing dollars with them to never be seen again. We’ve put this list together because we want you to be outsourcing your accounting service with confidence. So call us at 1800 88 92 32 OR fill out our Contact Request Form, OR explore our services, and get the answers you need.